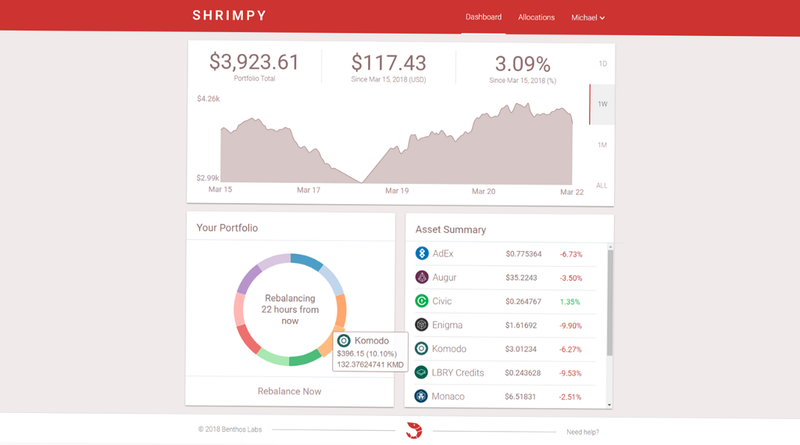 Shrimpy is the simple portfolio management website for the busy person. Shrimpy adapts ideas from smart investors outside of crypto to introduce simple automated strategies which can help increase returns. We created Shrimpy as the solution to a problem we faced. 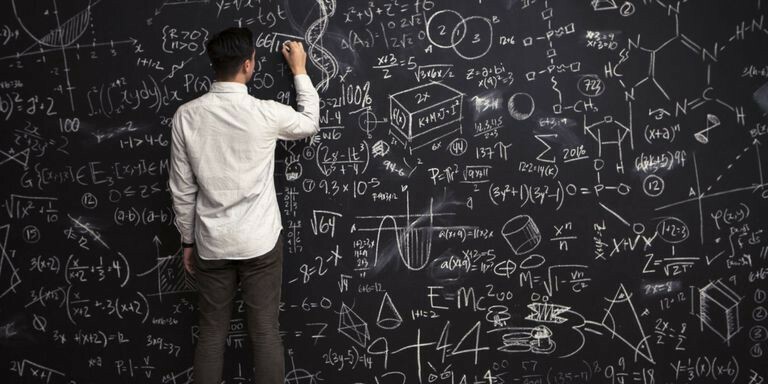 We wasted countless hours researching which exchange has which cryptos, tracking our investments, and trading to keep our portfolio in balance. We’ve gotten so many questions and people interested that we decided to make Shrimpy available to the public. Spend your time with your family, friends, or researching your next investment, not managing your portfolio, constantly trading, and stressing about keeping track of how your assets are performing. Keep track of your investments with simple statistics. Monitor your portfolios performance and easily adjust investment strategies based on various metrics. View how each coin has performed over the past 24 hours, how the percent allocations have drifted, and what are the current values of your holdings. Shrimpy has two main advantages: ease of diversifying crypto assets and automatic rebalancing for increased returns and decreased volatility. You decide your allocations and Shrimpy takes care of the rest. Simply deposit crypto on an exchange, use a simple interface to select which cryptocurrency allocations you want in your portfolio, and monitor your investments over time. We take security incredibly seriously and have designed all aspect of Shrimpy to be as safe as possible. Within minutes anyone can go from owning one crypto asset to owning hundreds — without using multiple exchanges or confusing interfaces. For instance, let’s say you own Bitcoin, but you want to own Bitcoin, Ether, Litecoin, and Monero. Using our simple interface, you can enter the percentage of each that you want: for instance 25% Bitcoin, 45% Ether, 10% Litecoin, and 20% Monero. 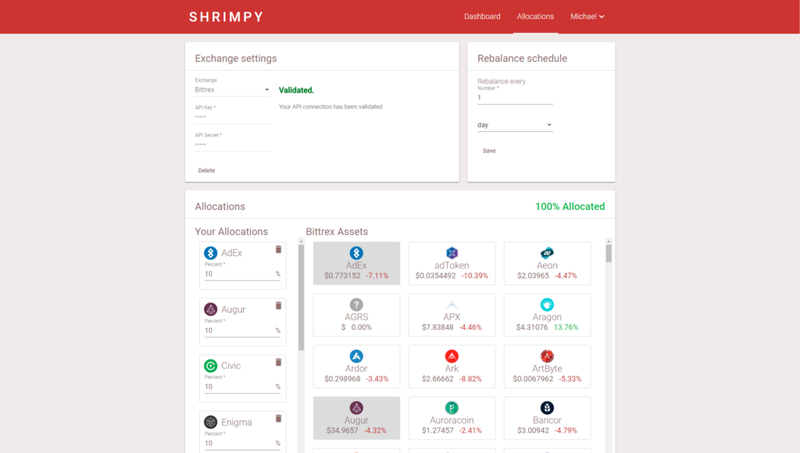 Shrimpy will automatically calculate exchange rates and perform trades to create your portfolio. Shrimpy then rebalances your portfolio automatically to keep your chosen allocations. Select your allocations with a simple point and click interface, adjust the percent holdings of each coin, and schedule a continuous rebalance for your portfolio. With over two hundred supported crypto assets, this means you have a large selection of the best investment options that are available. Stripping away the necessity to bounce from exchange to exchange chasing the new hottest coin, everything will be available in a single place. The expectation in the future is that we will be able to support hundreds of more crypto assets as we expand the platform. Shrimpy integrates portfolio rebalancing which in our tests has improved returns by 53% while reducing volatility. This strategy is time-tested and has been used in stocks and bonds for many years — often increasing investor returns and decreasing volatility. Unfortunately, nobody has brought an automated way of rebalancing to crypto assets yet. Enter Shrimpy automated rebalancing. Rebalancing takes advantage of the cyclical nature of the market by trading coins from those that did well over the period, to those that performed poorly. Basically it puts selling high and buying low on auto-pilot. The end result is that each coin represents your chosen percentage of your portfolio after each rebalance. Since this all happens automatically, there is no additional effort required compared to buy and hold. We are a small team of engineers and product managers located in the San Francisco Bay Area. Our members originate from Facebook, Amazon, NASA, Samsung, and Texas Instruments. 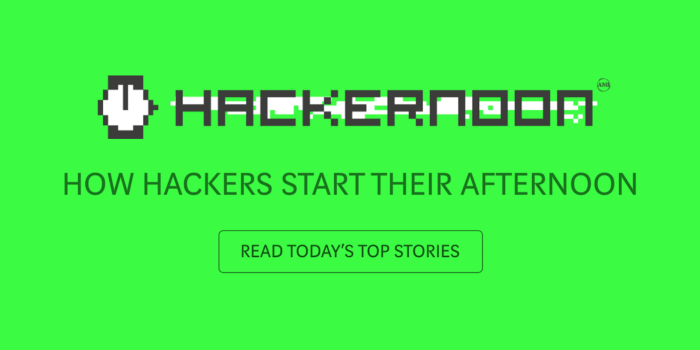 We have been involved with cryptocurrencies since December 2012. This began with mining DOGE on our custom rigs. Eventually, we began trading and developing custom software to manage our investments. We believe crypto assets are going to disrupt the world, however we aren’t there yet. Investing in cryptocurrencies is complicated. The diversity of coins has grown, convenience of investing hasn’t improved, and adoption from every day people is still impractical. The process of finding exchanges that accept fiat, transferring holdings to crypto exchanges, allocating balances, and maintaining your portfolio is cumbersome. This complexity has become one of the largest barriers to entry, preventing millions of people from getting into the market. By focusing on ease of use for new cryptocurrency users, Shrimpy will change the way people invest in cryptocurrencies. The end vision for our application is one where you can deposit fiat currencies directly onto our platform, allocate a diverse portfolio in minutes, and monitor every aspect of your portfolio in real time. All of this will be baked directly into the Shrimpy platform, so there is never a need to use third party tools that require significant amounts of work to maintain. We believe investing in cryptocurrency should be for everyone. The current coin distribution is centralized to those investors who were early adopters for the technology. This should not be the goal of cryptocurrencies. We should strive to put these assets in the hands of every individual regardless of status or circumstance. The only way to do this is to make it easily accessible. Shrimpy supports this vision by providing portfolios that are easy to manage and allocate, by setting no barriers to entry, and by increasing the availability of a diverse set of coins. This will allow more people to take advantage of this growing asset class for everyone’s benefit. Shrimpy is a free application that anyone can sign up to try. Our ask would be that if you are interested in having a simple way to manage your portfolio, that you sign up. After giving it a try, let us know what you like or want us to change. The more feedback we get, the better your experience will be with the Shrimpy application. Don’t forget to check out the Shrimpy website, follow us on Twitter and Facebook for updates, and ask any questions to our amazing, active communities on Telegram & Discord. Leave a comment to let us know your experiences with rebalancing! Introduction to Shrimpy — The Easiest Way to Invest in Crypto was originally published in Hacker Noon on Medium, where people are continuing the conversation by highlighting and responding to this story. To Adopt or Not to Adopt; is that Even a Question?